Trademarks & service marks, which are called generically “marks”, are utilized to identify the source of goods & services, respectively. In this regard, the owner of such a mark desires for the public to recognize the mark so that the public will seek to purchase the goods or services of the owner of the mark. In short, a mark generally becomes known in the public, through the expenditure of large sums of advertising money by the trademark owner. Since large sums of money will be expended on advertising, it is best to conduct a full trademark search. Failure to do so could result in another company, individual or group asserting a trademark or service mark infringement action against you and your organization or business. The cost to defend such actions is very expensive. Because of the foregoing, a trademark search is highly recommended. Trademark searches however, cannot be adequately searched on the Internet. In this regard, the required database is much too large and expensive to maintain. A free site, that provides limited searching at no charge, includes: links to www.uspto.gov. 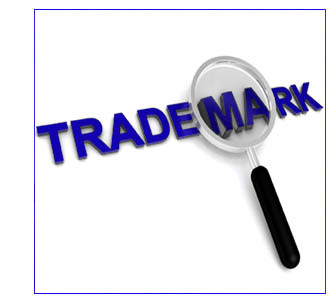 Our firm can conduct the trademark search or or advise on how the trademark search should be conducted. Our firm will then review the provided report. We will then advise you if the selected mark appears to be registerable. The charge for this service is a fixed fee. In requesting this service, it should be recognized that if the selected name does not appear to be registerable, then an additional search would be required. Once a proposed mark appears to be registerable, our firm will prepare a trademark application with any accompanying drawings for a flat fee. This fee does not include the trademark filing fee nor the cost for preparing any accompanying drawings. Such costs are in addition to the attorney fees & will be quoted separately. Once a trademark application is filed with the United States Patent & Trademark Office, a government trademark attorney will be assigned to review the application to determine whether the proposed mark is registerable. 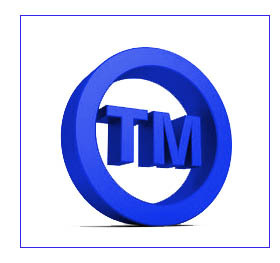 If the trademark attorney makes a determination that the mark is not registerable, the attorney will issue an official action identifying the reason or reasons why the mark is not registerable. In some situations, a response to the rejection may be filed to overcome the rejection of the mark. This document is called a Response or an Amendment. Preparing a Response or Amendment to an official action is not included in the charges for filing the trademark application. In this regard, additional charges between $300.00 to $5000.00 may be necessary to gather evidence and prepare a responsive reply. Additional work will be quoted. No additional work will be undertaken, without prior client approval. The client's responsibility, prior to any work being performed, must be to advance fees & costs for undertaking such additional work. The entire registration process can take between 6 to 18 months. This depends upon whether any official actions are generated by the USPTO. Our firm will undertake no work, without the client signing a written retainer agreement, which is outlined above. To determine whether your proposed trademark can be registered, you will want to first determine whether someone else has already registered the same mark or a similar mark that would cause confusion between the two different marks. You determine this by searching various types of databases to see if your mark or a similar mark is already registered or in use by another person or entity. 1.) Search the Database at the United States Patent and Trademark Office. You first need to describe your mark. Keep this simple for your first attempt at searching. Go to the United States Trademark Office website. Access the Trademark Electronic Search System, known as TESS, which contains millions of pending, registered & dead records. Once you have accessed TESS, you will be presented with several choices for conducting your search. For this simple search, choose "New User Form Search (Basic)". You now need to review each of the registered marks to determine whether any one of them is applied to your mark. This of course, will take time, but it is the only way that you can make a preliminary determination of whether your mark appears to be available for registration. 2.) Search the Various Databases of the Individual States of the United States of America. Your next step is to search the various state registration databases to determine whether your proposed mark is in use in intrastate commerce in an individual state, but not registered for interstate commerce with the United States Patent and Trademark Office. Unfortunately, this type of database information is not readily available via the Internet from the various states. You can obtain this information however, using a search service that will charge you a fee for searching their database information. 3.) . Search the Whitepages and the Yellowpages of the Major Metropolitan Cities in the United States. To provide a complete search, you would need to further search the various other commercially available databases that may be accessible for searching. A Warning: Because the database of trademarks is so extensive and must be updated on a daily basis, there are only a limited number of databases that may be viewed without charge. Moreover, the database information that may be viewed is very limited. For example, although the United States Patent and Trademark Office provides over several million pending, registered and dead federal trademarks, this database does not cover unregistered names that are in use and found in yellow pages and white pages directories, nor state registered trademarks or service marks. Because the database is incomplete, we do not recommend that individuals search the available databases for available marks. Instead, we recommend that you hire the services of a professional, such as our firm, who will conduct the search on a fixed fee basis. If you would like to engage our services to help you with determining whether your mark appears to be registerable, send us a brief description of the good or services that the mark will be utilized with and a brief description of the mark and whether the mark is in actual use or is merely intended to be used in the future. We will promptly reply by providing you with a fixed price quote for conducting a trademark search and for preparing and filing a trademark application on your behalf. All communications with our office are held in the strictest confidence.